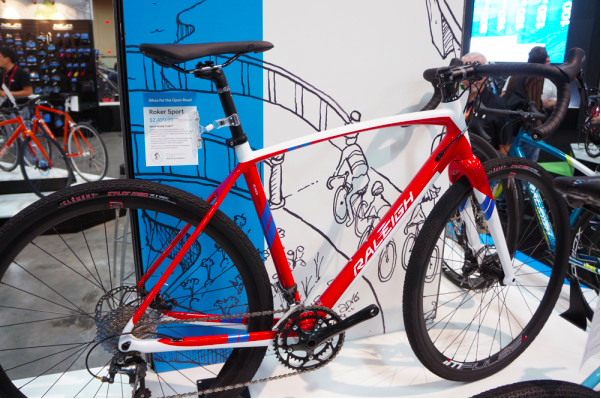 Bike Rumor features bikes from Raleigh's 2016 Road, Dirt, All-Road and Trail line. The story focuses on Raleigh's commitment to creating affordable, quality bikes that provide cyclists with a great ride, whether they prefer long road adventures or fat biking in the winter. "You can talk about high end components and bike weight until you're blue in the face, but if you're not having fun on your bike, many would say you're missing the point. In a nutshell, that's the direction Raleigh is taking with their line for 2016." For the cyclist interested in their first fat bike for year-round fun, Raleigh has two options: the aluminum Rumson and steel Pardner. The urban commuter will love the new Redux. Featuring a 27.5 wheel with a 1x drivetrain, the aggressive urban commuter comes in at three price points. For the endurance road rider, the Merit series is a disc road frame built around 28-32mm tires. The AntiShock stem and seatpost ensure the road ahead is smooth and fun. Carbon and aluminum options. Editor's Quote: "...they are focused on well spec'ed, affordable, fun bikes." To view the full feature, and more bikes, click here.